Consumer Reports takes a deeper look into Tesla Motors’ new titanium underbody shield. The shield is designed to prevent catastrophic damage to the battery and underside of the vehicle either by deflecting objects away or absorbing the energy from impact. Hollow Aluminum Bar – first layer of defense designed to deflect or absorb the initial impact from a foreign object. 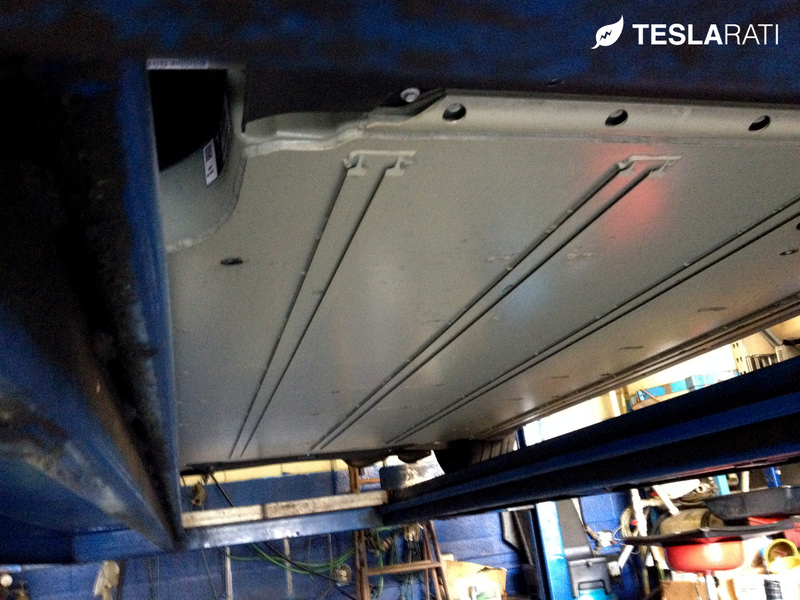 Titanium Plate – installed towards the leading edge of the battery (where damage causing the Tesla battery fires originated) designed as a lightweight and impenetrable skid plate that protects the front side of the battery. Solid Aluminum Extrusion – the last layer of protection that’s designed to further absorb energy from any material that hasn’t already been crushed by the hollow aluminum bar.